A not-so-Simple Plan, but “Perfect” dream – Live! Starring ... You! LSY! 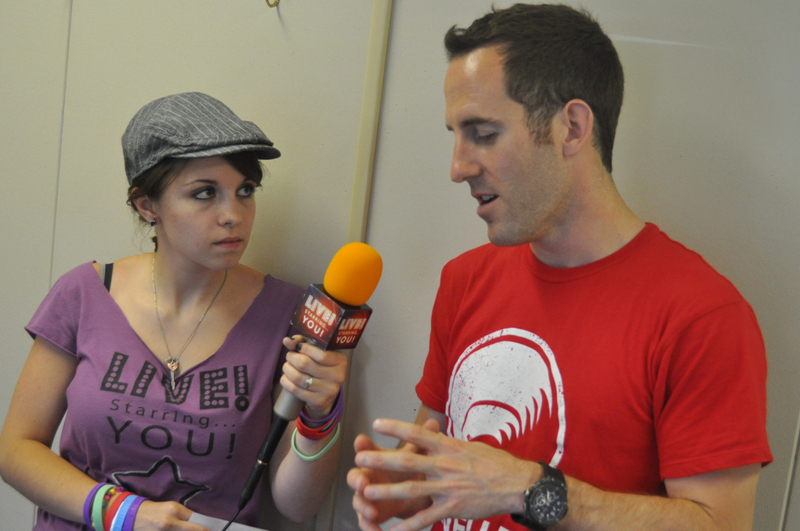 reporter Jessica Miller talks with Simple Plan drummer Chuck Comeau. Is it better to choose a safe and secure future, or follow your dreams? The members of Simple Plan dealt with that question early in their careers. Drummer Chuck Comeau told me about it during our interview at Vans Warped Tour. Chuck told me that the guys in Simple Plan were in school — one to be a lawyer, another an engineer, even one studying classical guitar. But they all abandoned college (and the sense of security that comes with a degree) to follow their desire to make it big as a band. And trust me, it didn’t come easy for them. They had to fight with their parents over whether or not this dream was plausible, because not many bands actually make it. But congrats guys, you made it! Not that it was easy. Chuck also told us that the guys wrote the song “Perfect” about how hard it was to convince their parents that this is what they wanted to do. The feedback they got from fans on “Perfect” was huge. Although fighting for their dreams was very challenging for Simple Plan in the beginning, the guys managed to do it and become the wildly successful band that they are now! So now what you have to do is think… How important is your dream to you, how will you execute it, and how will you thank the people that got you there? If you need any help, you most definitely can look to Simple Plan for an example. They’ve done it all before!